Math Monday - Multiplication Must Do's!! I was so thankful to have today off to recuperate from our double sleepover - 4 girls can sure make a lot of noise!! 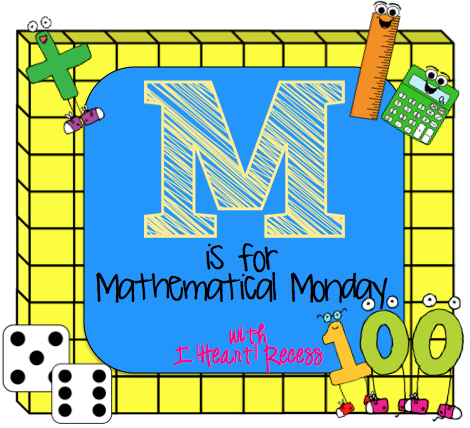 I am linking up with Jess at I Heart Recess for her Mathematical Monday linky party!! Last Thursday my class moved on to Data Management (thank heavens!!) after our long battle with multiplication and division. Okay it was not all a battle - but for some kids and on some days it sure was. 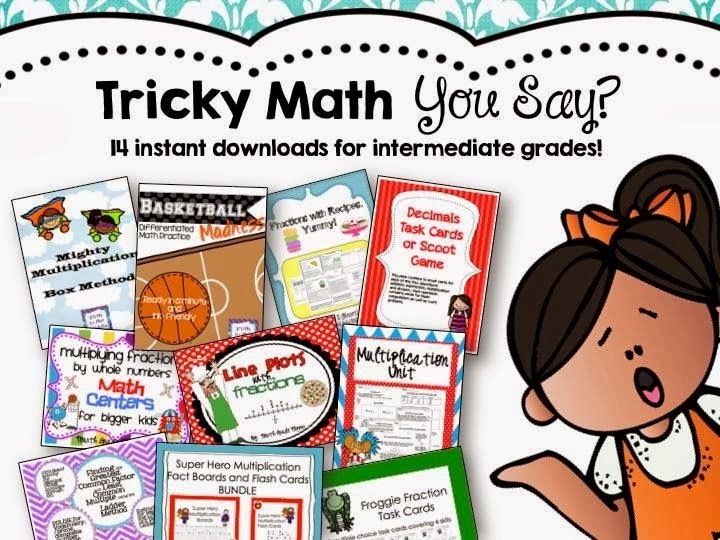 Multiplication Homework Packages - I send these home at the beginning of the unit so that students can continually practice without their parents having to look up resources and so that we can focus on strategies in class. 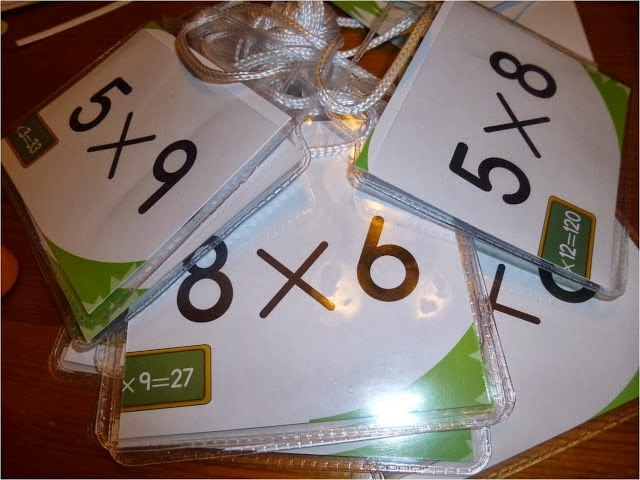 Multiplication Name Tags - huge hit in my class this year - will probably use them again time to time just to keep us on our toes! 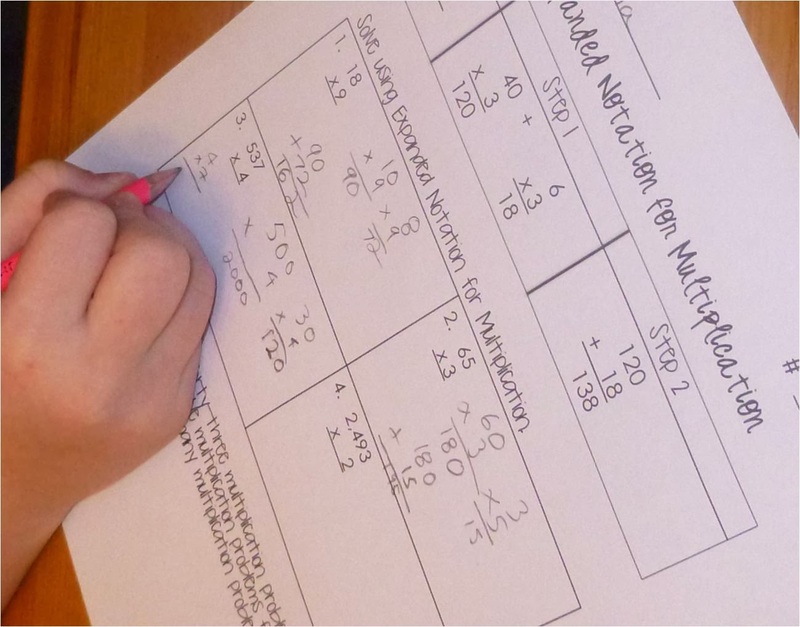 Challenging my Grade Fours - multiplication is one of those areas where the divide between the two grades seems pretty big. 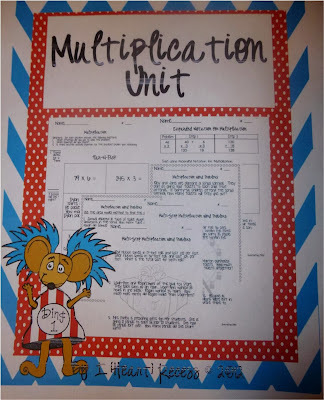 We start the unit with most of my Grade 3's knowing next to no multiplication facts or strategies and some of my Grade4's knowing all of their facts and needing some challenge. This year I used this resource for my strong group of Grade 4's. Sometimes it easy to focus on my struggling students but I really tried this year to keep my high group moving and this really helped me out. I really liked that my students had to show the expanded form strategy of solving the question - my high group can breeze through questions but have a really hard time showing their work and explaining strategies - this page was a big help. 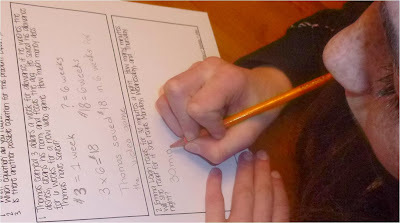 Also the word problems really add a challenge for my students. Even though they can multiply any number having to read, understand and pull numbers out of a problem really makes them stop and think about what they are doing. Plus they never want to answer in a sentence or show their thinking so this was perfect. I am not sure how a holiday Monday goes by so much faster than a school Monday but this one sure did!! Double sleepover? Are you insane? I told you to do NOTHING this weekend. Go to Time Out...right now!!!! Do not pass Go and do NOT collect $200. I like the looks of that multiplication unit. I wish I knew what I was teaching next year. 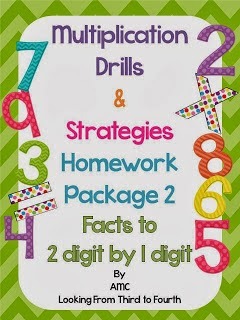 I can't imagine trying to teach two different grade levels of math at one time. I'm having a hard enough time with one grade level!! I'm glad you survived your weekend of sleepovers!! I hope you have a great week! I like how you are keeping your higher math group moving and challenged. I agree with you about Monday. If flew! I'm glad you had some time to recuperate though. After a double sleepover, it was probably very helpful!